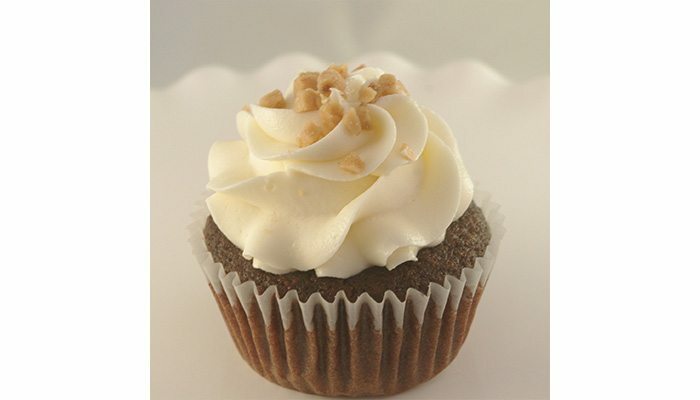 Cupcake of November: Maya - Cupcake Ladies Catering Co.
Chocolate cake, dulce de leche filling, vanilla buttercream frosting, garnished with toffee bits, and Balsamic Molokai Sea Salt. You’ll love Maya’s ever changing moods. One minute she’s salty and crunchy, the next she’s sweet and creamy.